Every weekend we try to make a special breakfast at home. If we don’t make a typical Colombian breakfast with arepas, chorizo and some sort of cheese bread, we try to make it with pancakes and omelettes. 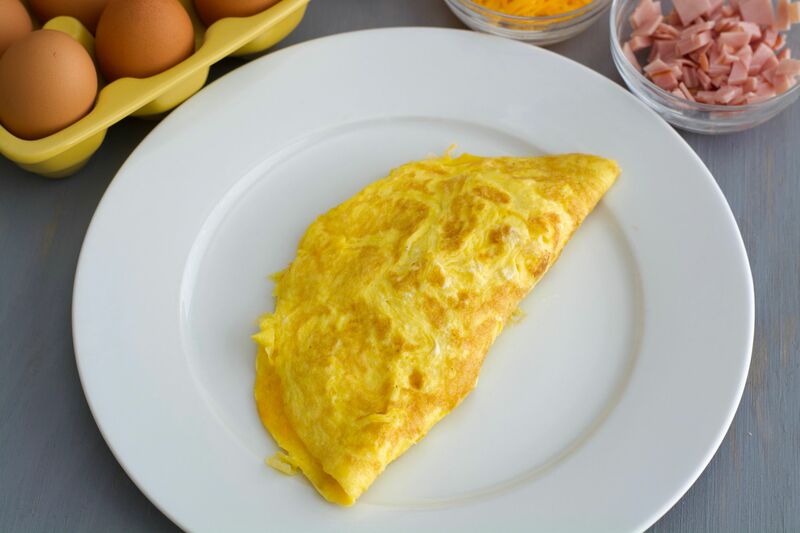 We love omelettes because each one of us chooses the ingredients we like most and they’re super quick to make. I usually like to make them with cheese and ham and maybe bacon, which is exactly how we’re going to make them in this recipe. You can add any ingredients that you want like mushrooms, peppers, onions, chicken, beef, and many others. However, make sure they are cooked before you add them to your omelette so they don’t come out undercooked. And if you don’t want to use whole eggs, you can also make them with just egg whites or any egg substitute. A trick that works really well for me is to use a 10 inch (25 cm) non stick pan. 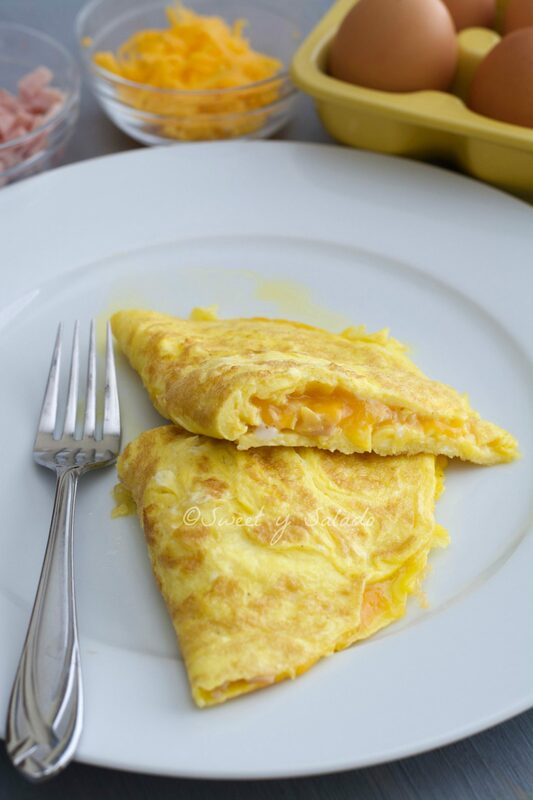 It’s the perfect size to make a really good omelette and fold it in half after I add my fillings. And the non stick material helps me slide it onto a plate when it comes time to serve it. In a medium bowl beat the eggs really well with salt and pepper to taste. Heat the oil or butter in a 10 inch (25 cm) non stick pan over medium low heat. Add the eggs and start stirring until they start to set (this helps create a solid base in the center), then let them cook without stirring. 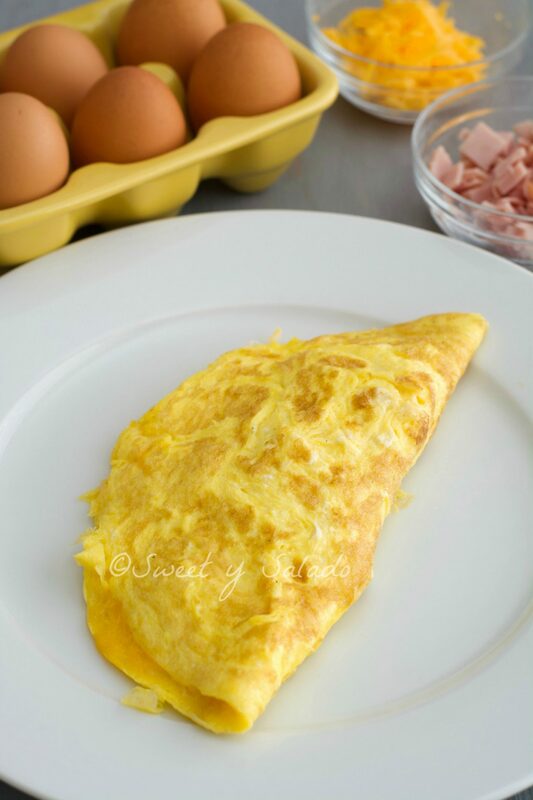 Once you see that the omelette is still a bit runny on top but not fully cooked, you can add the ham and cheese. 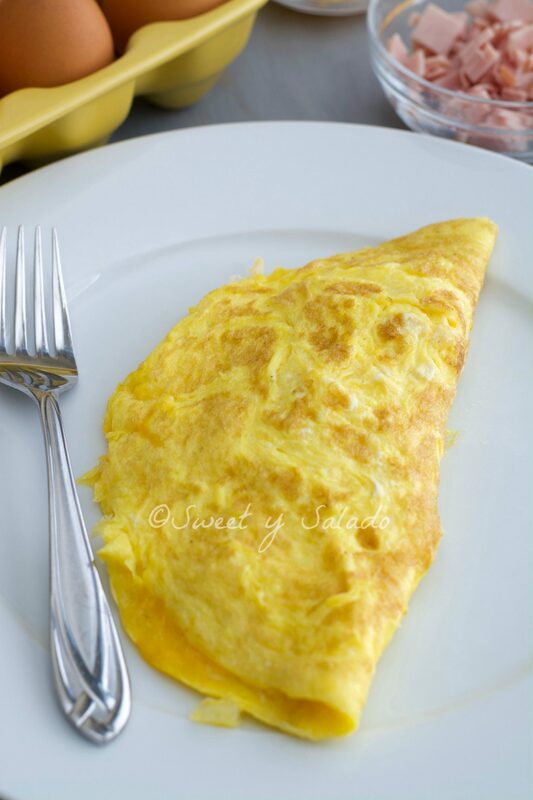 Slide a spatula under one of the sides of the omelette and fold in half. Serve immediately.